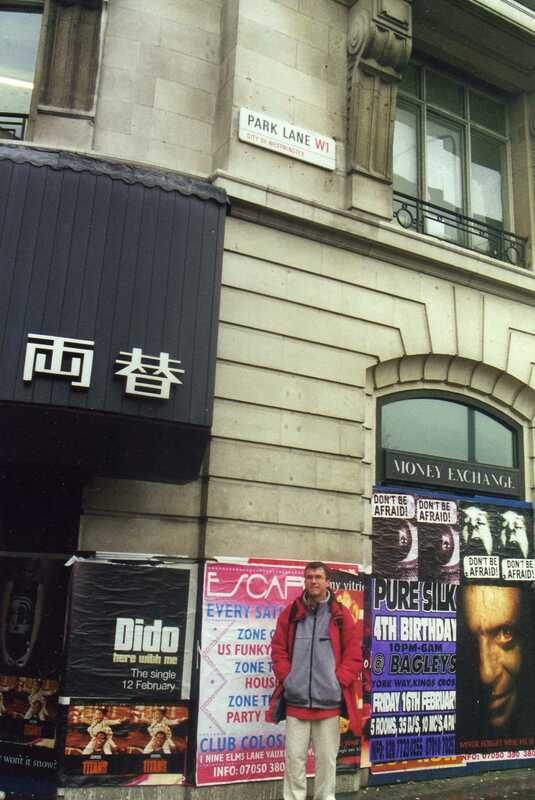 Many years ago I was in London (immediately following my Mission Antarctica trip in 2001). It was a really pleasant week with my mum. Whilst there we decided to go around the Monopoly board, which was really quite fun. I managed to get a photo with every Monopoly board property! It’s taken a long time to scan and upload these photos, but here they are. All around the Monopoly board. Also, there are a couple of slight witticisms – notice I have a banana on the Strand and my pose at Trafalgar Square is to imitate Lord Nelson. Enjoy! Dark Purple: Old Kent Rd, Whitechapel Rd.